Expressive Writing: Why You Should Start Tomorrow Morning? Emotional collapse has led to many ailments in recent times and there is no denying the fact that modern day individuals face a wide array of pressures. These pressures are accepted by some, while some just succumb to it and end their lives. This is a most unfortunate situation yet cannot be avoided in order to survive in this menacing world. Researchers have come out with the means to solve such traumatic enigmas in the head through writing and this form is known as Expressive writing. This form of writing connects the two diverse worlds of writing and health care with definitive results. The following information justifies why people suggest the employment of Expressive writing with immediate effect. How does expressive writing work? Most often people look down on this style of clearing out the psychological problems. The primary function is emotional catharsis which imbibes all the struggles which make the individual feel disappointed. As different emotions leave the mind and there develops a space for positivity, new ideas and thoughts will enter the body. This ensures that old pressures do not disturb the mind frequently, thereby developing a possibility of increased confidence and willingness to do the work. As a result, the cognitive process resets itself with refreshing ideas. This further reduces traumatic occurrences and finally nullifying them. Expressive writing helps in achieving all this with easy to employ methods. Although it completely depends on the individual and his/her personal experiences in life, there are certain common points which can be concentrated on. The incidents that stirred optimal emotions, traumatic circumstances, relationship with parents, friends, lovers, etc. are most commonly dealt topics. There may be more than one traumatic incident in life, which is often the case, and there should not be any hesitancy for writing them down. Irrespective of style and ethical nature of the content, presentation of thought must be given priority because reflecting on the content is the treatment in expressive writing. What to do while writing? Expressive writing as the name suggests is completely personal and need not follow any standards. There is no need of considering what others would think as it is aimed to reflect the self and highlight the faults within. Therefore, expressing yourself with full flourish and transparency would certainly bring about a change in the attitude. Remember, that heartfelt emotions need not be grammatically correct or phonetically appropriate. It is important to focus on feelings, memories, people, etc., rather than on the form and structure of the content. In addition, there need not be any set limit of time as long as there is an expression of subconscious thoughts daily. An individual can write for 20 minutes or 4 hours depending upon the time he or she can provide according to the daily schedule. However, it is important to look back on the writings every week and reflecting on those writings will ensure a certain development in the individual and he/she feels the things in the past are trivial and superficial. How to maintain consistency in Expressive writing? Expressive writing leads to surfacing of high range emotions which are difficult to control. People find it difficult to continue under such painful circumstances. However, this should not discourage the writers and they should carry on writing. Setting daily tasks during every session or after work will ensure continuity in writing. Allotment of time for writing will also help as there would be nothing else to do except writing once every responsibility is set aside. An individual can also try writing through various means and find the appropriate base for expressing. For instance, few people may find it difficult to write on a paper and feel comfortable while typing. As there are no restrictions for Expressive writing, a person can opt any of the writing forms. Listening to soft music while writing also helps in free flow of emotion. Additionally, it makes it interesting for the writer also, as the collaboration of music and emotion leads to swift catharsis. Employing a survey format can help dramatically and one would realize the type of person he/she is while selecting answers to related questions. Are there any health benefits of expressive writing? There are numerous health benefits for individuals selecting expressive writing programs and the following are the major profits of this form of writing. In respiratory conditions like asthma, outflow of emotions leads to the effective functioning of lungs enabling proper coordination between bodily systems. Decrease of severity of Rheumatoid Arthritis (RA) and ensuring proper instructing to the mind for timed sleep which is very important. Maintenance of balance during chronic suffering, viral diseases and sexually transmitted diseases. Apart from these expressive writing accentuates several benefits which tend both body and mind. This results in decrease in the number of visits to the doctor, improvement in immunity, balancing of blood pressure, optimal functioning of primary organs, mood enhancement, and ultimately disappearance of depressive and traumatic symptoms. As a result an individual could reclaim his position in the society, retain his job, develop intense relations, etc. All these are possible through Expressive writing. There are many health centers, which encourage such form of writing as they understand the scientific and psychological importance of Expressive writing. An individual can either try writing on his own or approach health centers for assistance. 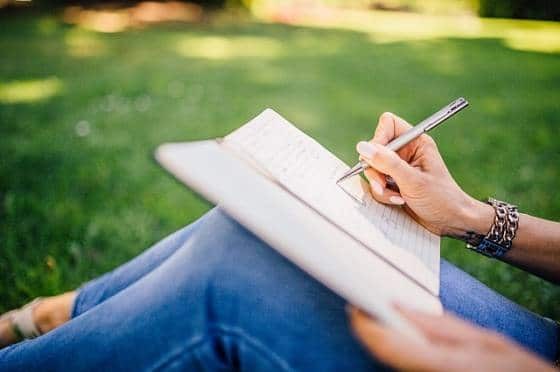 Either way, through penning down thoughts about stressful or painful incidents, expressive writing will purge the emotions leading to a state of harmony. This harmony will heal the thinking process as well as filters out the malicious negative energy that has been accumulated due to dark incidents and experiences. So, if you are suffering and don’t know where else to go, take a paper and start writing all the perplexities, discomforts, hardships, etc. faced throughout your life. The results will be of a jubilant exuberance along with the development of positive attitude towards life. Interestingly, the effects of expressive writing will show on the writer immediately, which makes it worthy of trying straight away without any hesitancy, as a whole new world of light is waiting on the other side. Kenneth Waldman is a writer and copy editor who cooperates with essay writing service EssayMama and other online platforms. Kenneth draws his inspiration out of the sport and reading. You can get in touch with him on Linkedin. Are you seeking to improve your life, earn more money, develop new habits, achieve success, or make changes in your life? Learn how to use affirmations to get what you want. It is easy and simple.